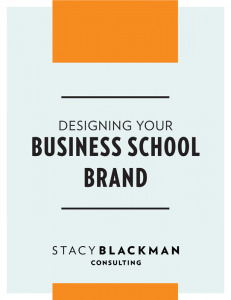 Successful business school applicants know how to effectively market themselves to admissions committees. This guide provides insight into how an admissions committee operates and helps you construct a marketing campaign that will resonate. Chock full of brainstorming exercises and practical tips, our branding guide is a perfect first step in developing a winning application strategy.